One of the really popular pastimes on the Avenue is complaining. 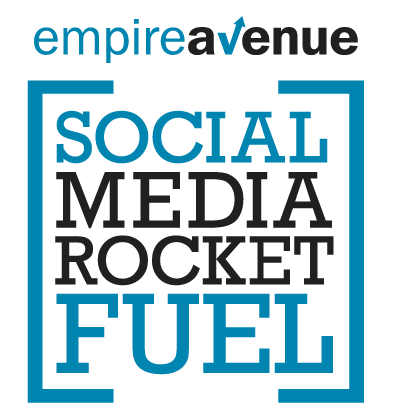 Is Empire Avenue going to survive or are they just going slowly down the drink? Are they spending too much time with GamrRank? Why don’t they ever reply to support tickets? Why is this or that feature broken? Why didn’t they implement that great idea that I gave to Dups? I am sure you can come up with even more, but really that is not my point today. I think that sometimes we focus on our frustration because we are passionate about this platform. Passion is great, but there is a danger that passion blinds. I am not going to talk about my love life; even though that could provide numerous amusing examples. I am entering my tenth month; so I am neither old nor new. I am past the beginning honeymoon excitement, but I have not lost hope like some of the folks who started with the intriguing site beta. I am a bit jaded by promises not kept, but I see signs of progress on Empire Avenue. I think the road is getting smoother. I thought that perhaps recounting a few of those might provide some eye opening perspective. 1. Mission Throttling/Captcha When I started on the Avenue, I was poor! I know just like everyone else, but the only realistic way to make eaves was to do missions. I did a ton. I dreaded that random, discouraging, horrible message…”We have noticed…” I am pretty sure that what Dups meant was that he hated me and wanted me to be poor forever! Every time I was in mission time out or my own personal EA hell, there would be a fistful of really big missions that were super easy to do! I waited and stewed. I heard that it was to eliminate the scripts that harvested eaves, but I was convinced it was an evil plot to make me quit. Moving to a Captcha solution is much better and more fair. Cheers for Dups promising and delivering on this one! 2. Mission Warning to Thieves Posting a warning on the mission screen to discourage theft I am still concerned about thieving…wait…just positive stuff today…The warning seemed to have a really positive impact at first. Although it may have diminished a bit, still a step in the right direction. Cheers for the EA team. At least they understand there is a problem and seem to be looking for the right answer. 3. Dups Engagement These days we often see Dups engaging the community in FB as well as EA forums. He usually is taking a beating…why don’t folks tag him with a compliment occasionally? He keeps coming back, listening, and explaining. He even replied to a suggestion by saying thanks, but I need to see how this fits with our overall strategy, a wise answer instead of the easy one. Give Dups credit here. He takes a licking and keeps on ticking. 4. Community Redux I am a bit unclear about the big plan for communities, but I do see some differences. If nothing else, give EA credit for identifying they had a problem. They seem to be trying to clean things up a bit and getting ready for something of a relaunch. The credit here is being smart enough to realize that the real engagement was happening off site and trying to figure a way to bring it back. 5. Buy Screen Update I see some cosmetic changes in the buy screen, but the huge thing I appreciate is that it does not hang endlessly like was typical before. I am unclear if the screen or the underlying code for buying or user close or what. I really don’t care what or how they fixed it. I am smiling because I can buy stocks in the morning without waiting forever. I bet this was a big one that most folks don’t even think about now that it works. Good job EA team. 6. Leader Board Improvements I noticed some cosmetic changes to the leader boards. The indexes getting dropped saddened a few folks, but here is hoping that more meaningful boards are on the way. I am personally looking for a Share Price, Net Wealth, & Portfolio Wealth for players before their first anniversary! 7. New Awards As things have grown along the Avenue, the initial awards were left behind by the leaders. EA has done a bit of adapting…things like an award for 500,000,000 (e) in Net Wealth that I noticed on a profile I watch carefully. Let’s mark this one a hopeful work in progress. 8. New Pie This seems to be easy and required to continue to grow the game for the top of the leaderboard. Now that I have caught up a bit, I can say it is a great thing. I was worried about catching diabetes with so much pie flying around there for a few weeks. I did think it was extremely awesome that EA provided a pie upgrade to go along with the last [X]Pendapalooza event. 9. Mission Dashboard Creating a dashboard where you can see and manage all your missions is a great improvement. Fewer wasted clicks and errors in creating missions are a welcome result of this innovation. This is a great start to making missions easier to create and manage. 10. Owning the Problems In the few months that I have been around, there has been a sea change in the attitude from the EA staff. I used to see ignoring, defending, explaining, and denying as the primary communication from EA. Dups gave back eaves when he saw missions that did not act as promised. Dups owns they stink at replying to tickets. Dups restrains promises. Dups has lead this effort. It feels like a real commitment to me. I believe EA wants growth and improvement. a. New User Onboarding I have not set up a new account; so I only have rumors on this one. I hear there are significant improvements. I notice fewer accounts without avatars; so something is better there. If that process is smoother, more folks will survive the chaos of initiation. The Empire Avenue team is small. They seem to be listening and trying diligently. I know that everyone has a list of suggestions and concerns. I am glad to listen, but what I am really interested in today…What have you noticed in the past month or few by way of repaired bumps on Empire Avenue? I wish I could take credit for all the above but we’re a team and I am one cog in it 🙂 Thank you Harold, I know that being on the other end, getting stuff taken care of is trying as the company in question (any company) has so much on their plate. Just as a note, the Buy Screens hanging are a direct response to probably the most significant back-end updates we have done to the system. We continue to clean up. Today we sent a message to all inactive community admins and have archived their communities. We will be doing more of that. We do want growth and improvement and we want you (our community there with us). We will struggle, we will get up, we will not go down without a fight and we have a vision. If anyone cares they can go dig up what the three founders said when we started to understand what we want. We may have lost our way a bit in the process but we are back and we will fulfill our vision and you will hear about it more and more as time goes on. Dups I really appreciate your taking the time to comment. You might as well take the credit; because you will certainly get the blame when stuff goes wrong! Teasing aside, I see a real change on the Avenue, and wanted you to know that it makes a difference. I look forward to what you have planned for us next. Thanks again! One thing I think a lot of the complainers forget is that Empire Avenue is mostly free, and offers a tremendous amount of connection power. Over the last couple of years I’ve heard a lot of folks say it has been a huge help to their business. I don’t use it as much for business as I do just to connect with others and play the game. Great article Harold! Thanks Greg. Your comments certainly mirror my experience also. EA is a powerful tool. Sometimes I think folks forget to accentuate the positive by focussing on their frustrations. Thanks Scott. I do think some folks need to remember the model is free to play. I also think that whininess is just an easy habit to slip into for most of us. Sometimes we get so used to grousing that we forget the good stuff. Great article, Harold! And, EA is great, with and without the issues. Thanks Vitus. Some days the challenges just make it more interesting. Relax, have fun, and make the best of every situation works for me. Excellent article Harold, the team are doing great and Dups thanks to you and everyone involved. Personally EAv has driven me to think differently about social media and how to use it. Growth in areas where stagnant has been an eye opener, making friends with like minded has been awesome. So all in all a big thank you. Thanks Joan. I have learned a ton about SM through EA also. I joined with 2 accounts, and today I am not sure I can count all the platforms where I have accounts. I appreciate your being a part of the awesome folks on the Avenue! Great article, shows me although I have been on EAV for a couple yrs I still don’t know much. I know this – it is free, and whining about a free platform is baffling to me. Thanks Andrea. I just figured Dups and the gang need a bit of positive reinforcement. At 10 months into the Avenue, I can see big improvements in the last few months. Harold I am so new on EAv (just 1 month) that the features you are pointing out to me I’ve not experienced. Other than – no picture in a profile, just one profile, is a big no-no for me. Sort of like going to a networking event with a mask on. I just don’t like it. Thanks for the encouraging blog post. I feel I made a good decision to join. Thanks Patricia. I am glad that you are enjoying the Avenue. I hope that you learn a ton and make a bunch of great connections. Thanks Ed. I guess the message for you is that you can believe that they are trying to make it better; so hang in there when you run into frustrations with the site. Thanks for sharing your thoughts. I’m still learning the curves as I’m still pretty new at this. Thanks Rob. I think you are entering the Avenue at a great time. Many of the tech challenges are getting solved, and there are a ton of great folks involved. Have fun and let me know if you have questions. Very interesting post Harold! I am pretty new here and some of the old features you describe are alien to me. What I really like about the human side of the Social media scores whiah you can’t find through other platforms like Klout or Kerd. At the moment, I am just trying to build my virtual social empire with the help of other real humans. I try to be as human as possible although sometimes I have to relay on tools to manage it. Sunish I hope that by seeing issues getting resolved you will have confidence in the platform. It is a great way to build your connections and evaluate your Social Media activity. Nice recap, for those of us who didn’t see any of this going on. MJ Thanks for your reply. I hope my post was helpful. Michael I am glad things are going well with your EA experience. Let me know if you run into questions. Thanks, I had forgotten about the advisors. They were also sort of amusing. Paid for them also…I wonder if we got a refund? Not every change will be a winner, but I think EA is trying to improve our user experience. They are learning and adapting to their credit. Thanks Mary. I also, speaking of flags, like the Fresh Face tag. Part of the issue is that EA is still figuring out what they have with this community. They seem to be responding to concerns and trying to build a better user experience. This is my 5th day here. So my comments will be from that experience. On the messaging front it seems a little confusing to a newbie. Sometimes I see there is a message for me somewhere and I am not sure how to find it. There does seem to be much complaining. But, at the same time so many people are so positive about it that it is hard to be upbeat about things. Sometimes you can’t complete a mission for one reason or another. Having a way to refund the person who initiated the mission would be a great feature. I did learn a lot in reading your article. Sometimes missions are a bit challenging. We talk about that a lot. I agree they need a refund button. Paul I don’t misunderstand the problems, and I don’t intend to overlook the challenges. I was interested in a bit of balancing; because so much of what I see, hear, & write has a negative focus. Some of that is fair and well earned, but EA has also made some improvements that I hoped to highlight. Thanks for hanging positive this time. Hi Harold, I enjoyed your article and your positive approach. As a newbie I’m still learning the ropes but I enjoy the interaction with the other players. It does seem that I’m surrounded by friends that want to help me succeed on the Avenue. Even though there is certainly competition, the funny thing about EA is that cooperation actually helps everyone succeed. When you do well, your share price and dividends increase. Since I am an investor, that helps me also. That mutual assistance and support that seems altruistic, is actually a bit self serving also. I don’t mean to suggest that folks are not kind. Just to point out the ironies of co-petition. EA is a free-of-charge zone, and it is good to be reminded of that. Thanks for the post Harold! Reblogged this on Eav Daily Tips. I see potential value in EAv, but find it’s hard to find connections with people right in the sweetspot of my niche. Ntl, I think by driving traffic to my blog (my main focus) there is value in improving rankings. So the EAv value proposition is mostly indirect, for me anyway. There are some great people in EAv. I think those of us who stick with EAv for more than a few months have a common bond. I am discoraged mainly by the huge number of newbies that fade away after a week or so. I like getting to know about my shareholders and their goals. Unfortunately, my time is in short supply since my move to Florida.